If our ninth month of full-time travel was characterized by fast-paced movement, our tenth has been all about slowing down: we both started and ended the month at destinations worth savoring, and it feels fantastic! Horseback riding around Lake Atitlan was incredible, and arriving on Utila and staring at its beautiful beaches has reminded us all over again why we love islands. But, the true highlights of the month aren’t either of those things: they are white water rafting in the Cangrejal River, and the birds of Copan, Honduras. Copan is home to Macaw Mountain, a rescue and rehabilitation center for the birds native to Honduras. The project aims to reintroduce many types of parrots (including Honduras’ national bird, the scarlet macaw), toucans, and more to the wild. It’s hard to say what the best part of seeing these birds was: getting to interact with some of the birds who are not able to be released and instead hang with humans part time, or going to the Copan Ruins and seeing the flock of scarlet macaws that have been released there by the project–both touched our hearts in different ways. White water rafting was incredible in a much different way. Outdoor adventures almost always reach our highlights list, and this one was no exception: from navigating rapids to jumping off of boulders into the river below, it was a fantastic day that had us wearing broad smiles the whole time. If you get our weekly emails (if not,sign up at the bottom of this post! ), you already know our nerves have been tested here in Utila: our hotel room has suffered an invasion of three scorpions and counting, and there’s a furry spider as big as my hand who lives outside our door that has made multiple attempts to come inside… in addition to one who has apparently taken up residence in our shower. Even worse? Two of the scorpions and the giant spider currently living in our bathroom were all found in the shower… while I was in it. The small green lizard who comes by and scurries along the wall every once in awhile is cool, though. He can stay. 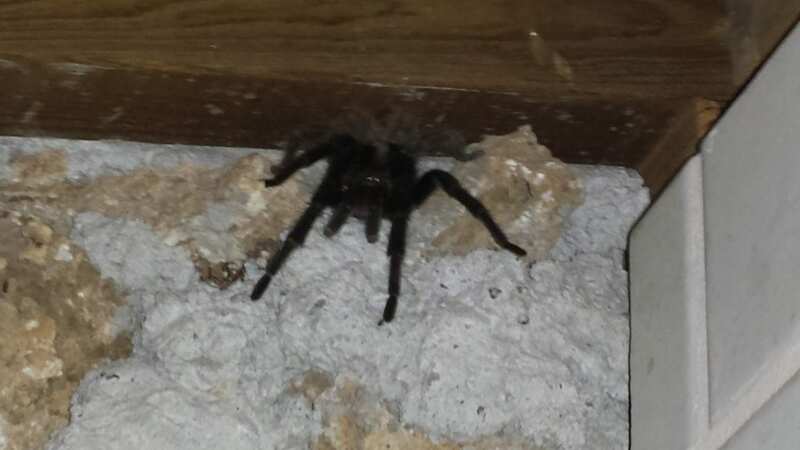 Blurry phone photo of our new roommate/nemesis. 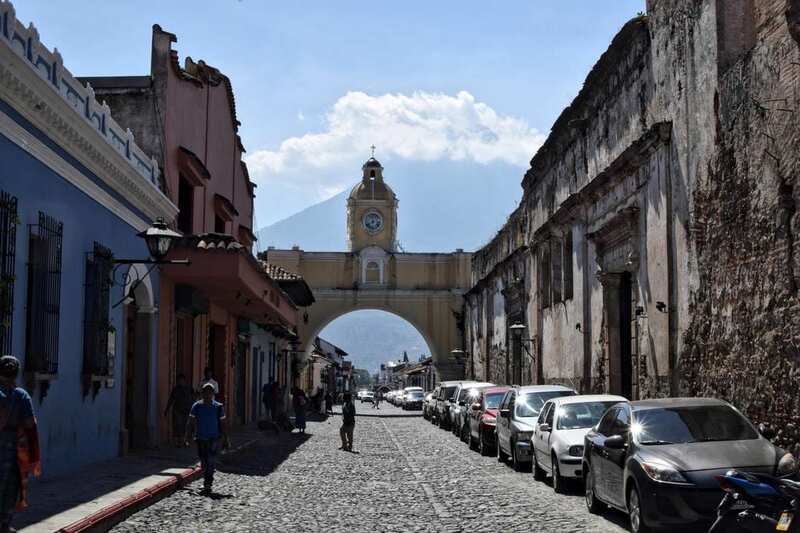 It was a hard call that we had to make while in Guatemala: do we continue to El Salvador, knowing that we’re only going to be there for a week or so, that the shuttle is expensive, and that it will add 24+ driving hours to our trip once we consider both directions? 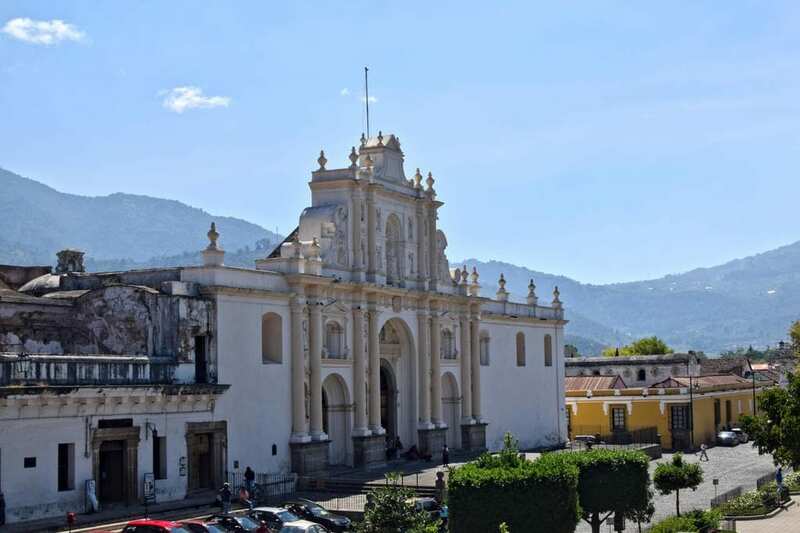 … Or do we admit that while El Salvador looks beautiful, there’s no “must see” destination that’s calling us there, and it makes more sense to continue straight to Honduras? Our wallets (and our poor bodies that would have been shoved unceremoniously into two very long, very uncomfortable shuttle rides) thank us, but we do hope to add El Salvador onto a different trip in the future. Instagram loves volcanoes: this photo quickly became our most liked photo to date! We Married Young & Are Still Traveling the World — This is one of the more personal posts that I’ve published on the blog, and I’m happy with how it turned out (and the response it got, especially on Facebook). Visiting Semuc Champey Independently — We skipped the tour at Semuc Champey and opted for a laid back day there instead–and we were thrilled with the results! Hiking Volcano Acatenango: The Good, The Bad & The Ugly — The highs were very high and the lows were very low while hiking Volcano Acatenango. We are so glad we did it… just don’t ask us to do it again. Scuba diving, yay! We are going to spend the next week and a half or so on Utila, getting our Advanced Open Water Diver certifications and hanging around for a handful of fun dives afterward (not to mention checking out some of Utila’s stunning beaches). After that, it’s off to Nicaragua! We’re excited to have family planning to come visit us in Costa Rica in a couple of months, and the blessing and curse of that is that it has caused us to buckle down and make a slightly more structured itinerary to make sure that we get everywhere that we want to before that without overwhelming ourselves. In Nicaragua, we are most excited to see the island of Ometepe–an island formed by two volcanos in the middle of a giant lake. Here’s hoping that it lives up to expectations! OMG, spiders and scorpions in the hotel room ! That would killing me , am terrified of such creatures, any way it seems that you had a very nice trip. It definitely made for an interesting stay! Utila was amazing, though.